Venice is located in Sarasota County, Florida near some of the most popular beaches in the entire country. The city has a population of about 21,700, but belongs to a larger Metro area with a population of about 725,000 residents. Along with the large population found within the area, many travel from in-state, in-county and from all over the globe to visit the area. With so many cultural attractions, beautiful beaches and an amazing year-round climate, the area is popular with all kinds of tourists. Venice also sees a large influx of snowbirds coming from northern states in the winter time. These part-time residents bring very unique driving styles and tend to crowd the roads. They also come during peak tourist season, which just makes it worse. Access to Venice, Florida often requires drivers to use Interstate 75 or US 41. The Florida section of I-75 is known as the 15th most deadly highway in the country based on fatality statistics. From 2004 to 2008, the Florida section of I-75 had over 600 traffic fatalities. US 41 is one of the busiest highways in the state and becomes very crowded during peak season. Traffic accidents are on the rise throughout Sarasota County. Law enforcement has no choice but to monitor the roads and hand out tickets. If they didn't the stats would be far worse. Police handed out over 34,500 tickets to drivers breaking the law in Sarasota County for 2015. This number doesn't account for the warnings, both verbal and written. Drivers caught speeding totaled more than 15,000; while another 6,100 drivers were caught running a red light or a stop sign. The leading cause of traffic accidents in Florida is careless driving, which more than 4,800 drivers were ticketed for in 2015. Only 4% of the tickets issued ever get dismissed by a judge in the county. If you think you're going to get out of a traffic ticket, your chances are rather slim. Suspended licenses come from getting too many traffic tickets in a short amount of time. If you get 12 points worth of tickets in 12 months, you will end up with a 30 day suspension. Make it 18 points over 18 months and you will deal with a 90 day suspension. Those receiving tickets totaling 24 points in 36 months will end up with a full one-year suspension. It only takes a few tickets to end up with a suspended license in the State of Florida. Online traffic school offers the basic driver improvement course you need to erase points from your license from a recent ticket. If you're eligible, you can take this course from the comfort of your home and keep the points off your license. Simply pay the fine and tell the clerk you will enroll in traffic school. Take the course and get your certificate of completion. Then, turn the certificate into the clerk and you're all set. By using traffic school to keep the points off your Florida driver's license, you will also keep your insurance rates from going up. 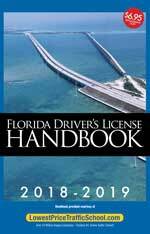 In Florida, you get to take the basic driver improvement course up to five times, but only once every 12 months. This means, you can erase points from a total of 5 tickets, as long as they are spread out by at least 12 months each. 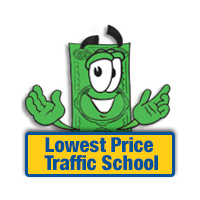 If you haven’t attended traffic school in 12 months or a total of 5 times already, you should be eligible. All issued traffic tickets in Venice, Florida become the responsibility of the Sarasota County Clerk of the Court. The clerk will take your payment and provide any information you need. You will also turn in your traffic school certificate to the clerk. Find out the information you need about the Sarasota County Clerk of the Court by visiting the website.